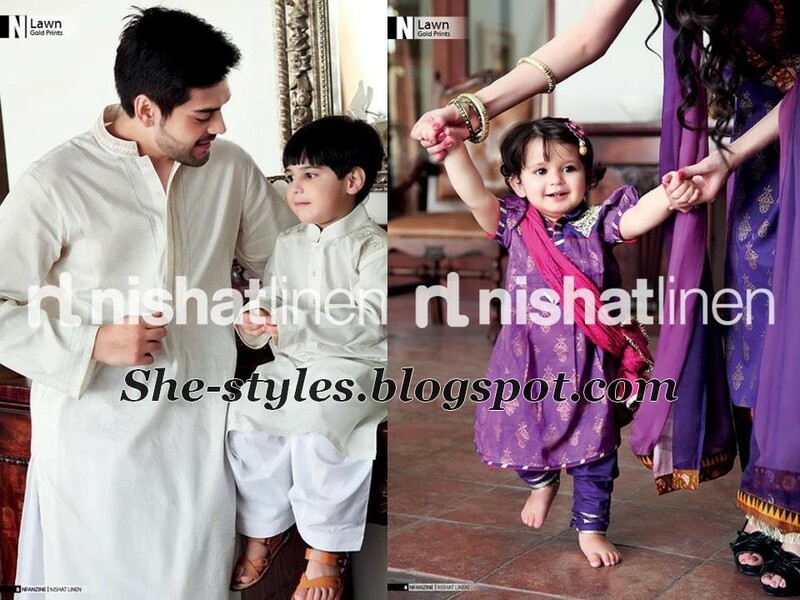 Nisha Festive Range 2012 Launched for All family at Nishat Linen a famous Pakistani Brand.This Eid Collection for the Whole Family Available soon across Pakistan now, and in Dubai from July 25th 2012. Price range is Reasonable and in Menswear Eid collection customers will find Kurta/Salwar Suits with embroidery embellishment on collar and button patti. 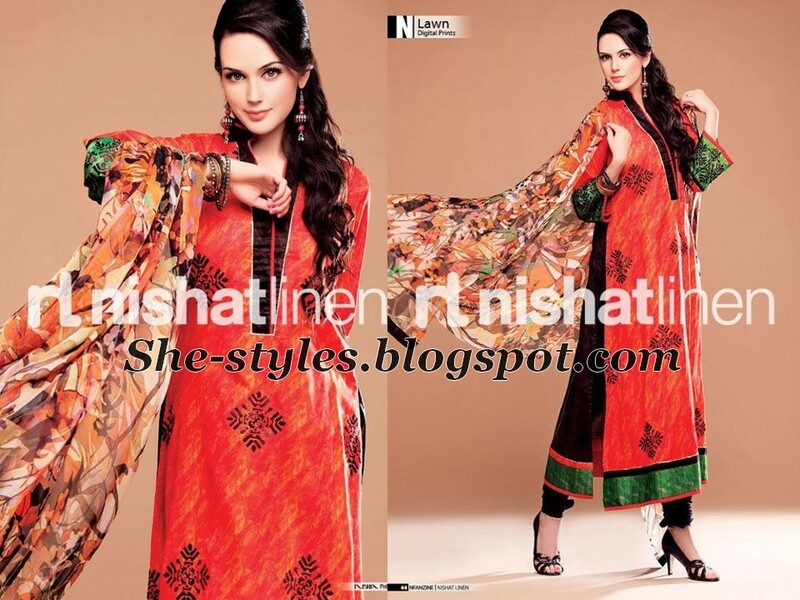 Our ladies find huge range of dresses in this collection for eid day because Nishat added very colourful and trendy outfits with light and dark both colour combination and embellished with embroidery for Eid occasion.Long Shirts,Frocks and Traditional Salwar kamees are also included and mine favorite color white is also included in these dresses.